— The Free World, by David Bezmozgis. KfC’s review here. Trevor’s review here. — The Antagonist, by Lynn Coady. KfC’s review here. — The Sisters Brothers, by Patrick deWitt. Kimbofo’s review here, Trevor’s review here, KfC’s review here. — Half Blood Blues, by Esi Edugyan. KfC review here. — Better Living Through Plastic Explosives, by Zsuzsi Gartner. Trevor’s review here. KfC review here. — The Cat’s Table, by Michael Ondaatje. Kimbofo’s review here, KfC’s review here. There is no doubt that it is strong list — the 17 book longlist gave the Real Jurors lots of options. If I had an early observation, it would be that the shortlist is strangely “conventional” given some of the more experimental works on the longlist. Both Booker short-listed novels (deWitt and Edugyan) also make the Giller shortlist and Ondaatje was probably the “best known” name on the longlist. More adventuresome works, such as Dany Laferriere’s The Return and Clark Blaise’s The Meagre Tarmac, have fallen by the wayside. If you read on into the Shadow Jury’s shortlist thoughts below, you will find that we opted for some of the riskier works — our split from the Real Jury is not a criticism, just different tastes. We did mention three of the six, although two of those mentions came from the Booker shortlisting. Whatever — if you are looking for some very good reads that are not on the Giller shortlist, try some of the other novels that impressed us. At least one Shadow Juror has managed to review each of the shortlisted titles and the three of us who blog will now set ourselves down to reviewing all six, so please stay tuned. Alison will contribute through comments and guest posts, whichever she finds most appropriate. I personally only have one to go (Better Living Through Plastic Explosives) but I will be posting excerpts from Kimbofo and Trevor’s review when they go up. And please join us by commenting on the various reviews as you work your own way through the shortlist — it promises to be an enjoyable reading experience. With 17 books on the longlist and only four weeks between longlist and shortlist, there is no way that the Shadow Giller Jury can read enough of the books to put together an “official Shadow shortlist”. But…between the four of us, at least one juror has read each of the 17 titles and while we haven’t posted reviews on all of them (we’ll get to that, I promise), we do have some thoughts. So, with the Official Jury shortlist due tomorrow morning, here are some “shortlist worthy” titles in the opinion of the four Shadow jurors. Click on the title for a link to the full review from that juror — the sidebar at the right has links to all the reviews we have posted. From Kimbofo at Reading Matters (Kim is in London, so has faced some access issues — we will get all the shortlist to her): I really feel that at this stage I can only nominate one — and that is Alexi Zentner’s Touch. As a debut novel, I thought it was exceptionally well written — evocative, atmospheric and magical are words that first come to mind — and, despite a complicated structure in which past and present storylines were interleaved, it was an effortless and entertaining read. It embraced some big themes — faith, survival, loss — all set in the Canadian wilderness, and yet the narrator’s voice was personal and accessible, as if he’d invited you to sit round the fire with him while he told stories about his family’s history. I may add The Free World to my selection, but until I finish it, I’m not sure how I really feel about the book. From Trevor at the Mookse and the Gripes: My two choices from the five I read — and I really hope each makes it — are Michael Christie’s The Beggar’s Garden and Clark Blaise’s The Meagre Tarmac. The Beggar’s Garden is a series of disparate short stories set in the rough neighborhood of Vancouver where characters struggle with drug addiction, poverty, or just sheer loneliness. In each case, their mind is unclear, but the prose is exact as Christie gives us an unsentimental but touching glimpse at their lives. As skillfully rendered are the linked stories in The Meagre Tarmac which build, line-upon-line, to an illuminating look at the emptiness at the center of the lives of the very successfull — beyond their wildest dreams successful — immigrants from South Asia. At the same time the story builds to a great overarching theme, Blaise lingers on the intimate moments when his characters are vulnerable and completely recognizable. 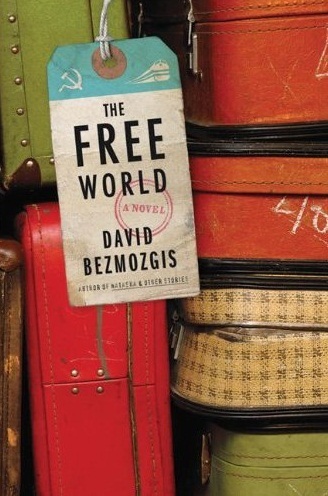 From Alison Gzowski: The Free World by David Bezmozgis, is a novel I look forward to rereading as it packed a dense punch; he so ably depicts a world and also worlds within worlds, that there is nothing to suggest he is a debut novelist. It’s an intelligent, moving and accomplished work. From KfC: A Good Man completes Guy Vanderhaeghe’s Western trilogy in outstanding fashion (and you don’t have to read the first two before reading this one). Set in the Cypress Hills Country of Canada and northern Montana just weeks after the Battle of Little Big Horn, it explores the tensions, challenges and deprivations of the “invading” European settlers in a compelling, readable “epic”. I’m not normally a fan of memoirs or poetry so my inclusion of The Return by Dany Laferriere as “shortlist worthy” is significant. 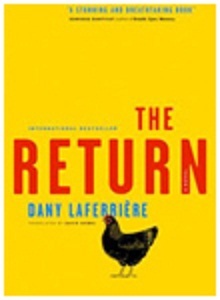 Part memoir, part introspective personal history, part ode to a father he never knew, Laferriere’s combination of free verse and conventional narrative chronicles his return to the Haiti he left 33 years earlier — and a search for the life story of the recently-deceased father whom he had not seen for more than half a century. The Giller shortlist is normally five titles — so there are six that we find worthy of the shortlist. Perceptive visitors here will note that two Booker-shortlisted novels (Half Blood Blues and The Sisters Brothers) did not make the Shadow jurors’ selections. Both are good books and it would be no surprise to see either or even both on the shortlist tomorrow — the fact that they are not included in the six favorites cited here is an indication of just how strong this year’s Giller longlist is. Not every one of the 17 books is great, but most are — and the jury has done an excellent job of finding well-written novels and short story collections that span a wide variety of “types”. They will have a difficult time picking the final five.